Sean handled my case with the highest professionalism. It was a very difficult time for me and his legal guidance was very helpful. David is an excellent and abundantly experienced and qualified estate planner. I recommend him without any hesitation or reservation! Matt provided outstanding legal guidance and always made smart and thoughtful recommendations during lengthy, and often tense family litigation. Jennifer and her staff were sincere and responsive, and respectfully guided my family through a very difficult time. A Boutique Firm Comprised of Dedicated Lawyers Recognized Nationwide for Their Skills and Expertise. With a commitment to serving our community and using the newest technology, the estate, family, and injury lawyers at Martin Heller Potempa & Sheppard, PLLC offers diligent representation to individuals throughout the Nashville region. Our firm has helped clients not only in Davidson and Williamson Counties but all over the state — from Memphis to Knoxville to the Tri-State area. Our dedicated estate planning and administration attorneys help clients throughout Tennessee protect their best interests, and we will take the time to get to know you and your case before recommending a course of action suited to your goals. If you are in need of legal representation in Nashville, Springfield, or anywhere in Tennessee, the experienced family law, personal injury, and estate lawyers at Martin Heller Potempa & Sheppard, PLLC can help. To set up a meeting with a member of our staff, contact us online or call (615) 800-7096. Our Nashville estate planning and administration lawyers take pride in guiding our clients through some of the most challenging times in their lives. Our attorneys can help you avoid the consequences of creating ambiguous, incomplete, or conflicting wills that undermine your wishes and the future of your loved ones. Without the right estate planning lawyer helping you through the process, disputes may arise after your death. Your will may be contested or the distribution of an estate can be challenged. But with the right estate attorney, an estate plan is a sensible way to prevent future conflict among your nearest and dearest. 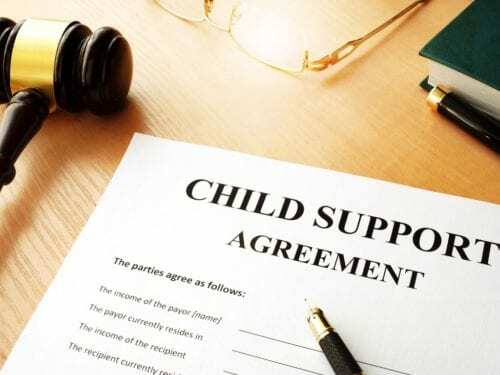 While the laws governing divorce, child custody and support, and related family law matters are well established in Tennessee, cases are generally decided according to their unique facts. Our legal team can identify and cast light on significant information that can make a difference in preserving your rights and interests, and in obtaining a favorable result. The future is uncertain for you and your family. But by planning for the unexpected and unavoidable, you can alleviate any issues that can arise once you are gone. With the help of our estate planning lawyers, not only can you create a will, set up a trust, or appoint a power of attorney, but you can set a business succession plan and preserve your family’s wealth. Don’t leave these decisions to the last minute. Now is the time to plan for your future and the future of your family. Careful planning and preparation are essential to ensuring your property will be distributed according to your wishes. Our probate lawyers are skilled at executing the documents needed by individuals near Nashville or elsewhere in Tennessee. We are here to assist in the administration of your trust plan. We can serve personal representatives, trustees, and executors during the process of probate and trust administration. A personal injury is an injury to someone’s body, mind, or emotions caused by someone else’s negligence or recklessness. If you were in either an auto accident, a slip and fall on commercial property, or injured by a faulty product, you may have a claim against the other party or parties for financial compensation. Lost wages, pain and suffering, and medical bills may all be recoverable if another individual or entity is found to be legally liable for your injuries. Our lawyers are experienced in presenting a claim of negligence in a persuasive way.